Back with one more card. 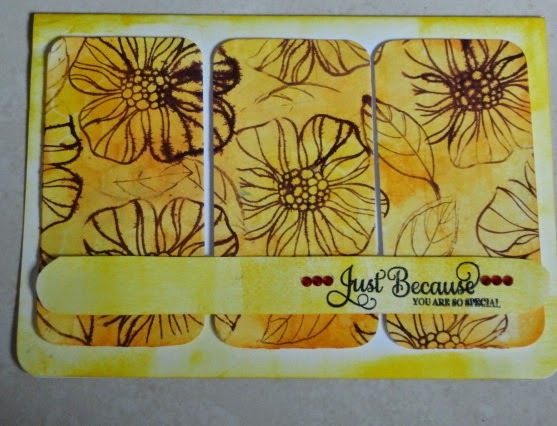 Now a days I am enjoying making all the stamping and distressing Cards. The effect is really wonderful . On a white CS I first distressed it with MUSTARD SEED. Then on another CS I distressed with SPICED MARMALADE and misted with water. 3 equal panels and stuck on the card. Hope you like this card. Wow, this is great. 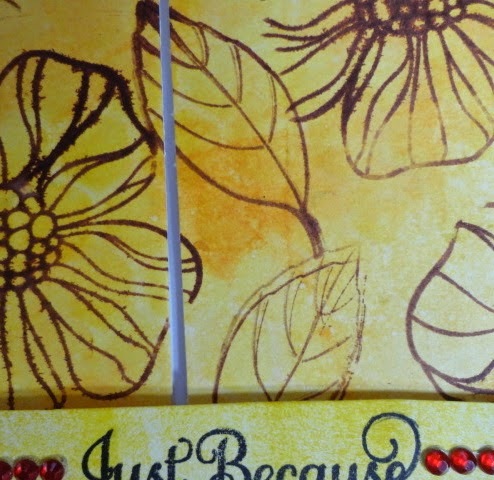 Love the flowers you sectioned out to make that wonderful effect. So glad you joined us at last week's Challenge at Word Art Wednesday. Please join us again this week and inspire us and our followers with your creativity and earn the chance to win wonderful prizes. Leaving you with God's Word in Romans 15:13 which says, "May the God of hope fill you with all joy and peace in believing, so that by the power of the Holy Spirit you may abound in hope." Hugs and blessings! Thanks Jo for appreciation and lovely God's Words. The words are very inspiring . Getting to know me blog hop ! April-2019: Product Release & GIVEAWAY!!! Love Cards designed by Sampada Srivastava, feat. Cottage Blush Scrapbook Paper collection. Gift Box with DCAM Envelope Die! 'THINK' - It's not illegal yet !! !